The best treatment for dogs with skin allergies is prevention, according to Vetstreet. Prevention consists of identifying the allergen causing a reaction and removing it from the dog's environment. Vetstreet explains that skin allergy, or atopy, is a condition in which allergens with which a dog comes into contact create an allergic reaction that presents on the dog's skin. According to the American Society for the Prevention of Cruelty to Animals, atopy manifests in the form of itching, redness and hives, among other symptoms, and many dogs excessively lick or chew their paws. Numerous allergens can cause skin reactions in dogs, including mold, pollen, grass, and house dust, according to Vetstreet. Some dogs also develop allergic reactions after eating certain foods or insects. While the most often recommended treatment is prevention, Vetsreet also lists other options available to owners whose dogs suffer from skin allergies. At home, bathing with mild, medicated shampoos and ointments can alleviate symptoms of allergic reactions. However, the ASPCA recommends that anyone who thinks his dog has skin allergies should contact a veterinarian to discuss all treatment options. Many veterinarians instruct owners to administer antihistamines, such as Benadryl, which are safe for canine consumption, but nobody should ever give human drugs to a pet without a veterinarian's orders, Vetstreet warns. Additionally, veterinarians can perform immunotherapy, in which they introduce small quantities of identified allergens to abate the body's response to them. Finally, in the most severe cases, steroids are required to suppress the immune system and prevent future allergic reactions. 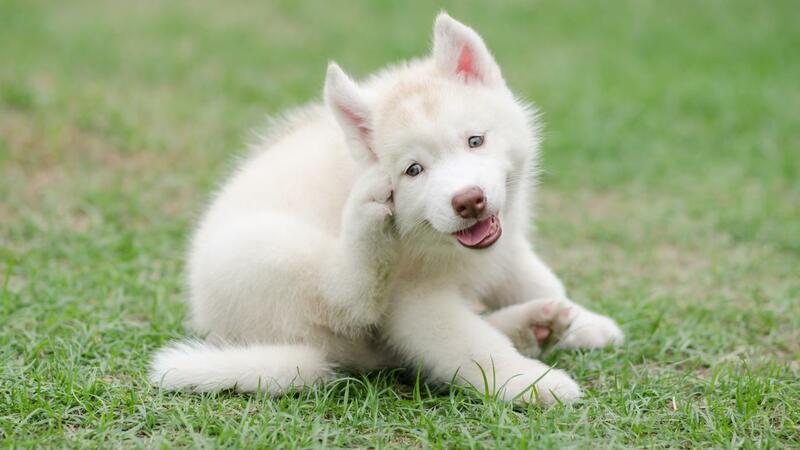 What Are Some Treatments for Canine Skin Conditions?